Dr. Jason Talbott is a radiology specialist based in San Francisco, California. He graduated from the University of Louisville and continued with an internship at the California Pacific Medical Center - Pacific Campus, followed by a residency stage in radiology and a fellowship in neuroradiology at UCSF. Dr. Jason Talbott has also been active in the research field where he contributed to multiple publications that focused on acute flaccid myelitis, spinal cord infarction, white matter injury, the caverno-apical triangle, Ex-PRESS glaucoma filter, CNS siderosis. 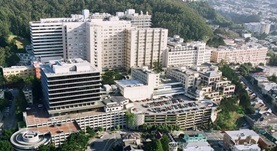 Dr. Talbott is currently affiliated with UCSF Medical Center. Dr. Jason F. Talbott has contributed to 3 publications. T1ρ and T2 -based characterization of regional variations in intervertebral discs to detect early degenerative changes. Pandit, P.,Talbott, J. F.,Pedoia, V.,Dillon, W.,Majumdar, S.; J. Orthop. Res.. 2016 May 27. Gunshot wound causing anterior spinal cord infarction due to injury to the artery of adamkiewicz. Phillips, D.,Dhall, S. S.,Uzelac, A.,Talbott, J. F.; Spine J. 2016 Feb 20. MRI Atlas-Based Measurement of Spinal Cord Injury Predicts Outcome in Acute Flaccid Myelitis. McCoy, D. B.,Talbott, J. F.,Wilson, M.,Mamlouk, M.,Cohen-Adad, J.,Wilson, M.,Narvid, J.; AJNR Am J Neuroradiol. 2016 Dec 17.